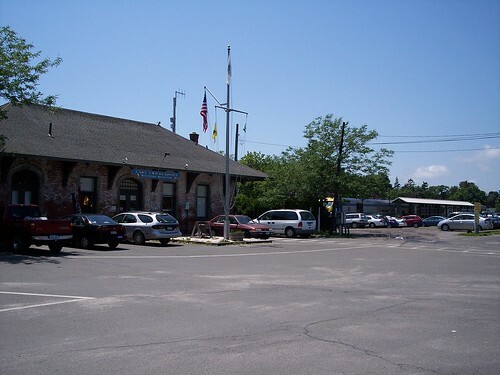 The old station building still stands in Greenport, but it is now a museum. 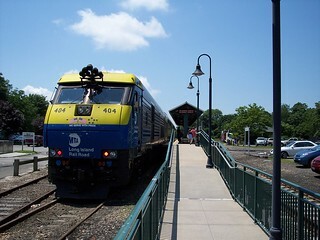 We began our journey on the Ronkonkoma Branch here in Greenport. 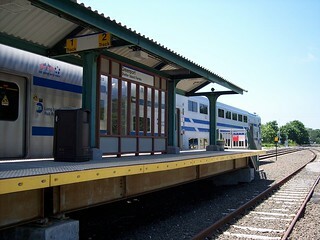 Our train to Ronkonkoma sits waiting at the platform on the right. 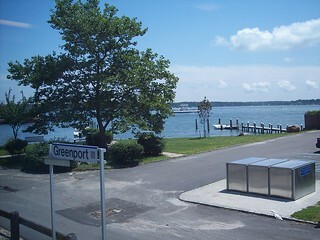 The ferry to Shelter Island is visible from the train. 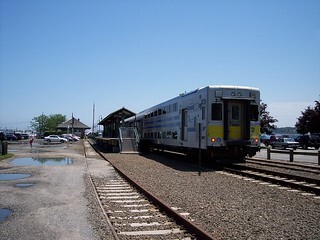 Our train waits to depart. The old station is in the distance on the left.